Almost 11 years ago, Apple unveiled a very special computer to the world. It was truly a “magical and innovative” product back then and still has a very strong fan-base today of which I’m a part. That computer is the beloved PowerMac G4 Cube. Never before had that many features and power been made available in such a compact and beautiful design of a computer. In fact, it was one of the most powerful offerings from Apple at the time with all the latest technology (in 2000) such as G4 PowerPC processor, discrete Nvidia video card, Airport card for Wifi access, and a slot DVD burner… all packed into an 8 inch cube which appears to float in mid-air. It’s remarkable how a computer this powerful can be fully functional in a tiny shell, without a single fan! That’s right, there is no other moving component except for the hard drive. Thus, it runs in virtual silence. The PowerMac G4 Cube was not only an amazing testament in the advancement of technology and engineering early in the 21st century, but it is also a stunning piece of art. However like all things in life, perfection is unobtainable. Apple did everything right but failed in its marketing execution for this computer. The price was simply outrageous. The PowerMac G4 Cube was short-lived. Available on the market for just over one year before Apple pulled the plug. The company learned a very valuable lesson of combining design, features, usability, and price. Apple understood the lesson so well that only a few months after the Cube’s death, a mega-success that is the iPod was first introduced. The iPod had the design, features, usability, and most importantly a price-point that made it a great value. 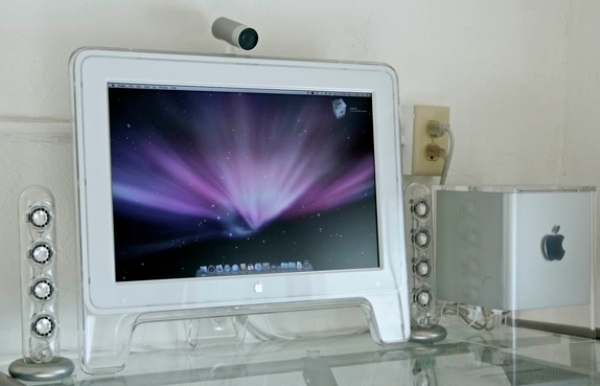 The Apple PowerMac G4 will be remembered as a commercial failure in recent memory to the bean counters among us. To Steve Jobs and many Mac fanatics like myself, the Cube has a very fond place in our vintage Mac collection. P.S. I was lucky enough to acquire one of these Cubes from an unloving family 8 years ago. It has since gone through many upgrades in both hardware and software. After 11 years of wonderful existence, my Cube still works great. Here she is in all her glory! A very rare breed of a computer. One of the most beautiful production computers to ever come out of Cupertino.